A tart with a southern-French flavour for the perfect evening! Preheat oven to 200°C (thermostat 6/7). Roll out the pastry in a pie dish. Prick the pastry with a fork. Brush the pastry with the whole grain mustard. 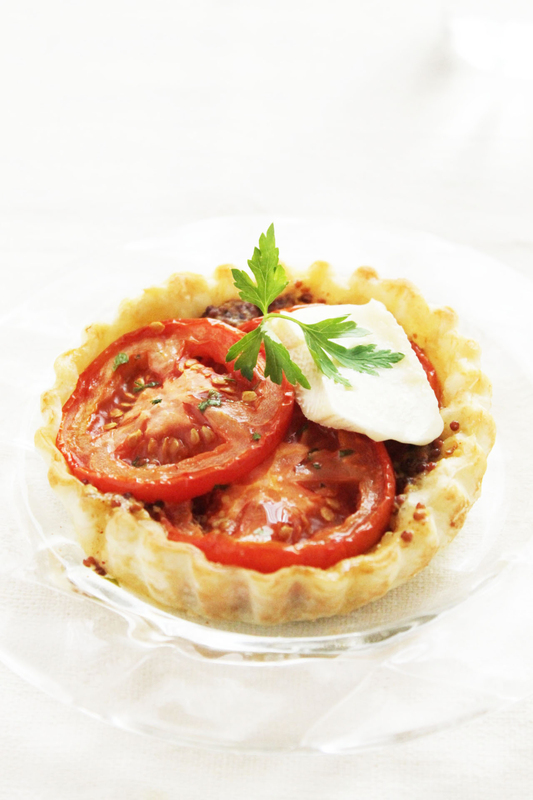 Cut the tomatoes into fairly fine slices and arrange attractively around the tart base. Bake for 15 mins. Finely slice the Petit Camembert ILE DE FRANCE®. Take the tart out of the oven and arrange the slices of Petit Camembert ILE DE FRANCE® over the sliced tomatoes and sprinkle with chopped parsley. Bake for a further 10 mins.